Uganda's Commercial court has ordered MTN Uganda to pay a sum of Shs 2.3bn (about $662,000) which is about N190 million in damages to EzeeMoney Limited for sabotaging its business. It all started when EzeeMoney, which runs an e-money business, obtained a contract from MTN for the provision of digital transmission [E1] and 30 fixed telephone lines to carry out its mobile money business. After agreeing to the terms of the contract, EzeeMoney then contracted Yo! Uganda Limited (YUL) to implement the service after Uganda Communications Commission, the regulator, approved it on December 2012, to use the 7711 short code to enable its customers to subscribe for e-money services. However in 2013, MTN after doing a review of the contract, canceled it, saying EzeeMoney was a direct competitor to its mobile money business. Through AF Mpanga and company advocates, EzeeMoney went to court, saying MTN’s action “restricted and distorted competition.” EzeeMoney said MTN also damaged its ties with YUL and deprived it of services of other telecommunications operators. 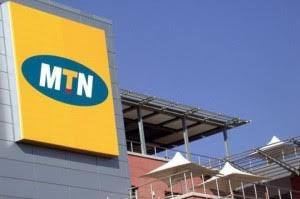 It argued that MTN used its exclusivity agreements to stop its agents from working for any other firm with similar business, further limiting competition. Delivering judgement in a suit filed by Ezeemoney limited on November 6th, the presiding judge, Justice Henry Peter Adonyo ordered MTN to stop acting in an unlawful and anti-competitive manner, which denies other businesses an opportunity to prosper. Justice Adonyo said MTN should pay Shs 800m to EzeeMoney in general damages for loss of business. He also directed the telecommunications company to pay a penalty of Shs 1.5bn in punitive damages to deter not only MTN but also warn other companies against uncompetitive business tactics.